OCCC students should prepare to pull more money from their wallets when the 2014 fall semester rolls around. Tuition will increase by about 5 percent because the funds from the State of Oklahoma and the local school district will not increase at all next year, said President Paul Sechrist. College regents approved the 2014-2015 budget in June. Sechrist said mandatory cost increases have left the college with a hole in its budget that can only be filled by asking students to pay more. “We’re raising tuition to cover a portion of that $1.3 million increased cost. The mandatory increases will include employee health insurance, property insurance, software licenses, utilities, accreditation fees, contracts, cleaning services and other maintenance, Sechrist said. OCCC’s mandatory costs have risen over the last several years, not because the college is wasting money, but because of inflation and other factors, said John Boyd, Business and Finance vice president. “Our electricity cost has gone up, not because we’re inefficient, but we’ve got a brand new 76,000-square-foot theater we now have to heat and cool,” Boyd said. Employee medical insurance has gone up, as well as dental insurance, Boyd said. He said the Affordable Care Act also has created additional fees OCCC has to pay. “Our contract services to keep up our landscaping and our cost of waste removal is going up,” Boyd said. “All of those costs over a period of years have continued to ratchet up. “This is nothing new. I’ve been in this position since 2008, but actually started preparing the budget beginning in fiscal year 2010. “Every year since I’ve prepared that budget, we’ve gotten little or no increase in state appropriations and our mandatory costs continue to rise,” he said. Sechrist said the college has three primary sources of revenue that cover the operating costs of the entire college. 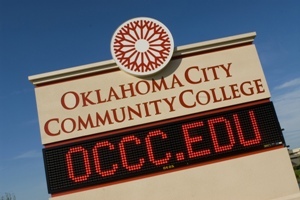 The total projected revenue for OCCC’s Educational and General budget is almost $60 million. E and G is the college’s main budget for funding instructional costs and everyday expenses of running the institution. The largest source of revenue, at close to $26 million, comes from state tax dollars allocated by the Legislature, Sechrist said. State revenue in this budget is essentially the same as last year, according to the college budget. The second main source of revenue is tuition and fees paid by students, he said. This year the college expects to collect about $22.8 million in tuition and fees, compared to about $22.1 million last year, for an increase of $696,000. “The third and smallest is from the South Oklahoma City Area School District, which helps fund the college,” Sechrist said. Southwest Oklahoma City residents pay a small portion of their ad valorem, or property, taxes to help fund the college. The amounts to $5 million in the budget, which is the same as last year. These revenue shortages will not only affect the college as a whole, but also the students and faculty individually. Although students will see an increase in tuition, Boyd said, he doesn’t think the increase in tuition is going to keep students away. Even with the increase in tuition, OCCC is still one of the most affordable campuses in the state, he said. Boyd stressed that students will only be paying $5 more per credit hour. For a resident student, the cost of a credit hour will go from $77.55 to $82.55. Non-resident students will see the cost per credit hour increase from $160.03 to $165.03. College officials prepared the 2014-2015 budget by predicting a decline in fall enrollment between 6 and 7 percent compared to the fall 2013 semester. Although numbers for fall don’t yet show a decrease in enrollment, Sechrist said, this can still change. He said the college has to be careful in projecting how much revenue will come in. “I definitely understand that any tuition increase impacts students who maybe didn’t get a salary increase from their employer this year either and are paying their own way,” Sechrist said. “So I understand that it does impact them. Even though it’s modest, it’s still an increase. “The good news is, we will remain one of the most affordable two-year colleges in the state, if you count the two OSU technical branches — OSU OKC and OSU Okmulgee,” Sechrist said. In order to prevent a higher rise in tuition, and to avoid a reduction of faculty and staff, OCCC employees will not be receiving pay raises, Sechrist said. “Both options were rejected,” Sechrist said. 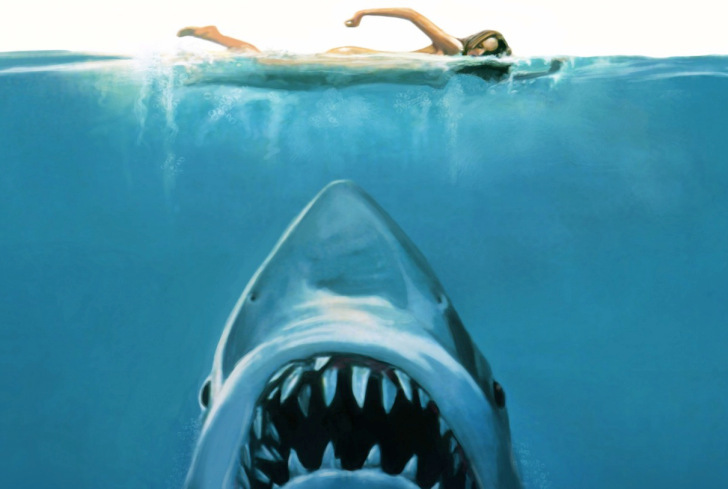 “Therefore, there isn’t really any money left to provide any raises to employees. OCCC has what’s referred to as a merit-based pay system, which allows employees to get a raise if they have met or exceeded their work expectations, Boyd said. But this year, not even merit pay raises will fit into the budget – at least given current revenue projections. Though employees will not be receiving raises, Sechrist said he does not believe employee morale will suffer. “We do try to find other ways for our employees to be recognized for their efforts. We have generous leave policies, good health and dental insurance, good retirement plans, (which) all support our faculty and staff,” he said. “Talking with faculty and staff, most of our employees are motivated by the mission. And yes, they’re motivated by getting paid, too, but they’re motivated by the mission of OCCC. “They enjoy working with students, they enjoy the work and they feel appreciated for what they do.” Boyd said it’s great to be in a job that you like doing and also making a lot of money, but sometimes that doesn’t always go hand-in-hand. “It’s hard to say, because I think it depends on the individual,” he said. “I used to be an OCCC faculty member and I went several years …(without) salary increases and I worked three years straight with no salary increase whatsoever. “I hate to speak for faculty, but I think just based on the faculty that I know at OCCC, they’re not here for the money. That’s just my opinion [that] they’re not here for the money. They’re here for the fulfillment,” he said. This will be the third time in the past six years employees did not receive a raise, Sechrist said. “The majority of my years as president, we did provide raises,” he said. “We did not receive raises in fiscal year 2010 and 2011. Sechrist said the push by the Legislature to cut taxes, which is how the state earns its revenue, causes the college to have to plan for small increases in state funding, which would fund increases in salaries. “We value the contributions and work of our faculty and staff, and I think we’re committed to find some ways to do some sort of merit-based increases in the future – they may be modest – and maybe some stipends,” he said. For more information, contact Boyd at JBoyd@occc.edu. For employee reaction on not receiving a raise, turn to page 5.